Nokia is introducing four new Android-based smartphones intended to deliver better materials and design to the Nokia lineup. 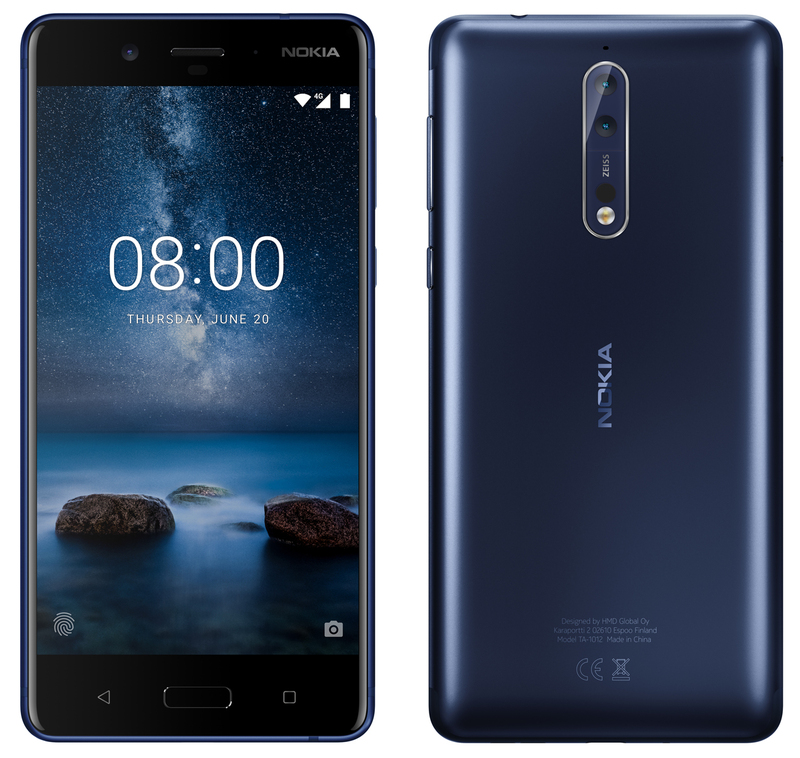 All of Nokia’s new phones for this year ship with Android Oreo out of the box, with the Nokia 1 running a lightweight version of it called Android Oreo Go. Nokia promises no bloatware or unnecessary UI changes thanks to the Android One program, meaning users will be able to get faster updates and security patches. The Nokia 8 Sirocco is the flagship in the new lineup, featuring a curved 5.5-inch display, Qi wireless charging, dual rear cameras, and a stainless steel frame. The phone is powered by a Snapdragon 835 chipset, allowing for excellent performance. Imaging is handled by a pair of rear cameras, one which is more sensitive for low light imaging, while the other allows for 2x optical zoom. A 128GB model is confirmed, which will release in Australia from May for AUD$1199. The Nokia 7 Plus features dual rear cameras, a 6-inch 18:9 display, and a 3800 mAh battery, along with the Snapdragon 660 processor. Like its bigger brother the Nokia 8 Sirocco, the cameras on the back promise better low-light performance from the 12MP sensor, while a secondary 13MP sensor allows for 2x optical zoom, providing better quality zoom functionality than digital solutions. The front facing camera is also improved, with 16MP of resolution. The phone will be available from May in Australia for AUD$749. The new Nokia 6 is an update to the original Nokia 6, featuring face or fingerprint unlocking, USB-C fast charging and a Snapdragon 630 processor in an aluminium unibody design. With the updated processor, the Nokia 6 promises much faster day-to-day use than the previous model. Two versions will be available; one with 3GB of RAM and 32GB of onboard storage from early April, and a second model with 4GB of RAM and 64GB of storage later in the year. The 32GB model will go for around AUD$449 and will be available from May. The Nokia 1 is the least expensive in the new lineup but it doesn’t sacrifice too much. It features a quad-core processor, 4G connectivity, dual SIMs and a removable 2150 mAh battery. The design has a curved removable back which can be switched out for other colours including red, blue, azure, grey, yellow and pink. It will retail for around AUD$149 and will be available in May.